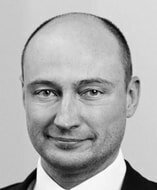 Visalaw International, the global alliance of top corporate and employment immigration law firms, is pleased to announce the latest addition to our network, Dimitri Nikolaenko, a lawyer with nearly a quarter century of experience who leads a team of immigration professionals at NJORD Law Firm in Riga, Latvia. Welcome to VisaLaw International, the first global alliance of corporate immigration lawyers. Members work together to help individuals and companies navigate complex immigration law worldwide. Visalaw International comprises some of the world’s best known immigration lawyers.